CHART SPOTLIGHT. Be it that 50 Cent intentionally leaked his own single “Outlaw,” now it’s out via ordinary channels such as iTunes, Amazon and Spotify. The track is yet to appear on any mainstream charts. 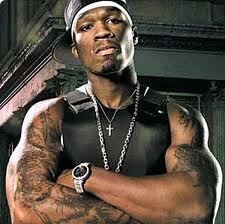 According to Hip Hop Music Dotcom, 50 Cent masterminded the leak of his own when “Outlaw” bowed earlier this June. The rapper felt that his record label Aftermath/Interscope was delaying the process. MuzikDaily still thinks the man is relevant in the game…plus he’s one hell of a business man and is worth about 400 Mill… Hopefully, EW Music Mix find the new material better than 50 Cent’s 2009 album Before I Self Destruct calling it his worst album ever. Despite not releasing any material on his own, 50 Cent has frequently collaborated on other productions. Last year he collaborated with Jeremih on “Down on Me,” and earlier this year the rapper added two guest verses on ex-Pussycat Dolls singer Nicole Scherzinger’s “Right Here.” It was adapted for the US market as the lead single off Scherzinger’s album Killer Love. The song premiered on American Idol.